Instead of the conventional opposition between nature (genes) and nurture (environment), Design for a Life offers a new approach that synthesises biology and psychology. It explores the developmental cooking processes that give rise to individuals, and considers in turn how these processes have evolved. How and why does each of us grow up to be the person we are? What role do genes play in shaping our behaviour and personalities? Are our characters fixed, or can we change as adults? How does early experience affect our sexual preferences? 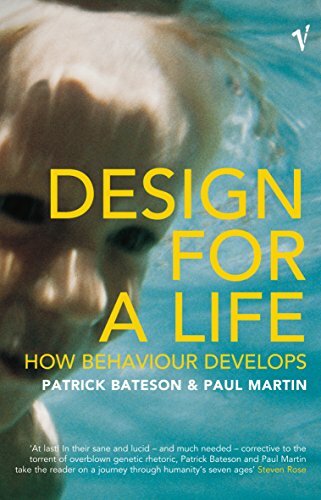 Design for a Life explains the science of behavioural development - the biological and psychological processes that build a unique adult from a fertilised egg. Instead of the conventional opposition between nature (genes) and nurture (environment), Design for a Life offers a new approach that synthesises biology and psychology. It explores the developmental cooking processes that give rise to individuals, and considers in turn how these processes have evolved.